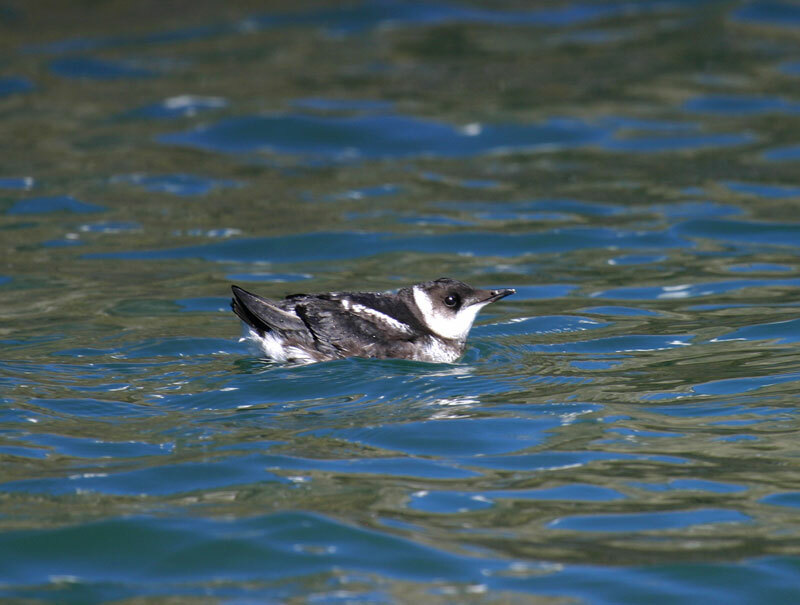 The Marbled Murrelet nests on the mainland in almost total obscurity, although people who fish and boat along the British Columbia coast during spring and summer (when the birds are nesting) often see Marbled Murrelets out on the water. The murrelet comes ashore only during the breeding season, to lay and incubate one egg and to feed the nestling. In the forest, its brown plumage makes it hard to spot. And the bird’s habit of coming off the water only under cover of darkness makes sighting a Marbled Murrelet even more of a challenge to land-based observers. At sea, the Marbled Murrelet is not hard to spot, although it is wary and will quickly dive away from boats that approach too close. Summer boaters know it as a small brown bird that swims with its pointed bill tipped up in the air. When it flies, the small wings beat very fast to lift the plump body, and the bird zigzags low over the water like an oversized bumblebee. 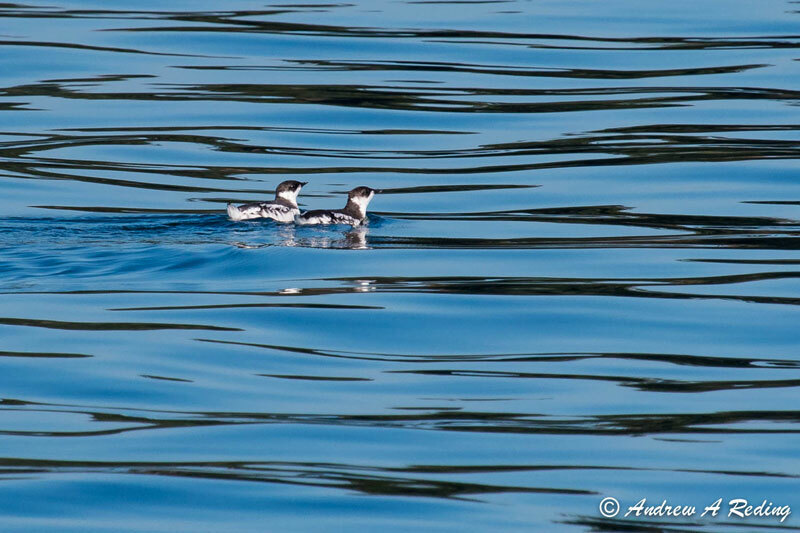 The murrelet is well adapted for life on the sea and especially under it. The feathers are unusually thick and dense to keep out the cold. 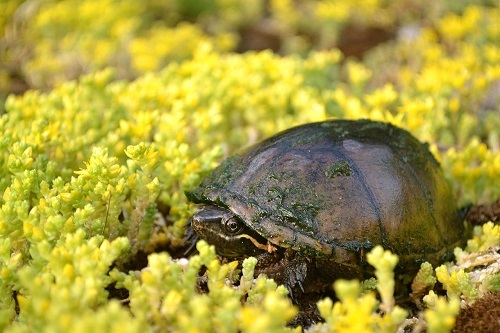 The feet are webbed like a duck’s, but very small, and are used for propulsion only when the bird swims on the surface. 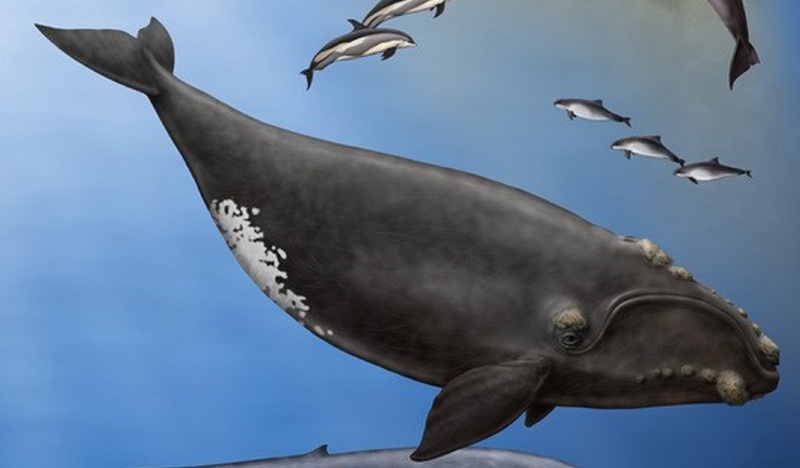 Underwater, the feet steer the bird, and it is propelled forward by its powerful "flippers"—the same stubby wings that must work so hard to keep the bird in the air. The murrelet "flies" underwater. The bill is well designed for seizing slippery fish with a firm grip. Throughout the murrelets’ North Pacific range, most occupied nests have been found in tall trees. They were simple cups in the moss on thick branches, 20 to 40 m above the ground. Only fairly old Douglas fir and Sitka spruce have branches thick enough for murrelet nests, although other trees may offer suitable platforms or cavities. (Nesting murrelets have used hemlock in the state of Washington and larch in the Okhotsk region of Russia.) In treeless parts of Alaska, nests have been reported from the open tundra and at the top of a scree slope (a slope covered in loose stones). Trees with thick branches near the top usually occur in stands of old growth and mature forests that are rapidly being cut for timber. If it turns out that British Columbia’s murrelets are not concentrated in colonies and have no alternative nesting habitat, the need to protect sites for murrelet nests will be another reason to preserve more of British Columbia’s coastal old-growth forests. However, a great many areas still remain to be explored for nests. Nests found on the ground in Alaska show that murrelets in that area have alternative nesting strategies. Perhaps the Canadian population does, too. 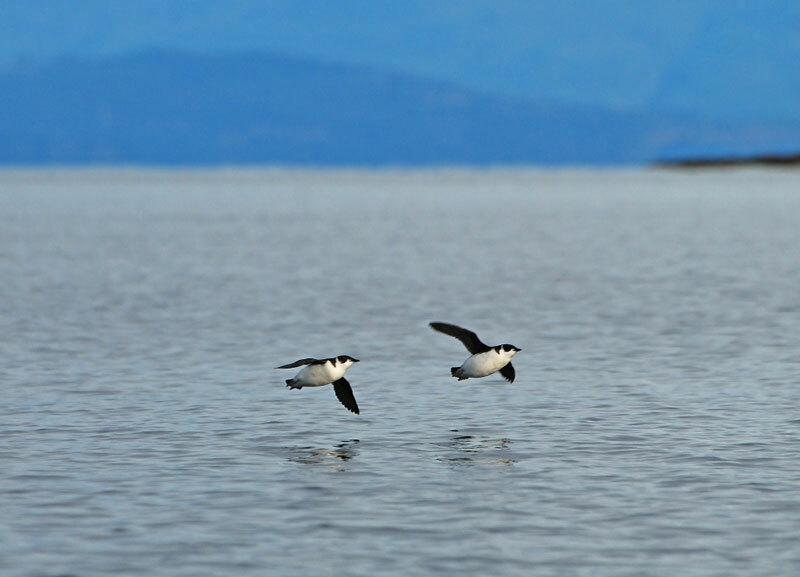 Many murrelets forage in the inlets through the fall, but, at some point, worsening weather and decreasing food supplies combine to force their departure. Some of the northern inlets and those farthest inland freeze over, forcing the murrelets out. Elsewhere, the herring grow too large for murrelets to take, and the sand lance burrow into the ocean bottom for their winter dormant period. The Marbled Murrelet could easily lay claim to the title “most mysterious bird on the Pacific coast of Canada.” It nests on the mainland in almost total obscurity, although people who fish and boat along the British Columbia coast during spring and summer (when the birds are nesting) often see Marbled Murrelets out on the water. 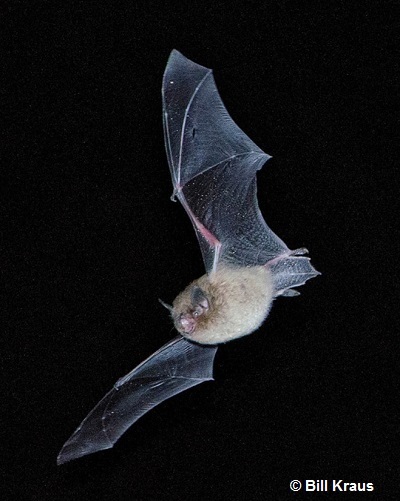 Amazingly, in the 200 years that the species has been known to science, observers in British Columbia have seen only one occupied nest, in 1990. The story is the same over the whole of the murrelet’s North Pacific range (see map). 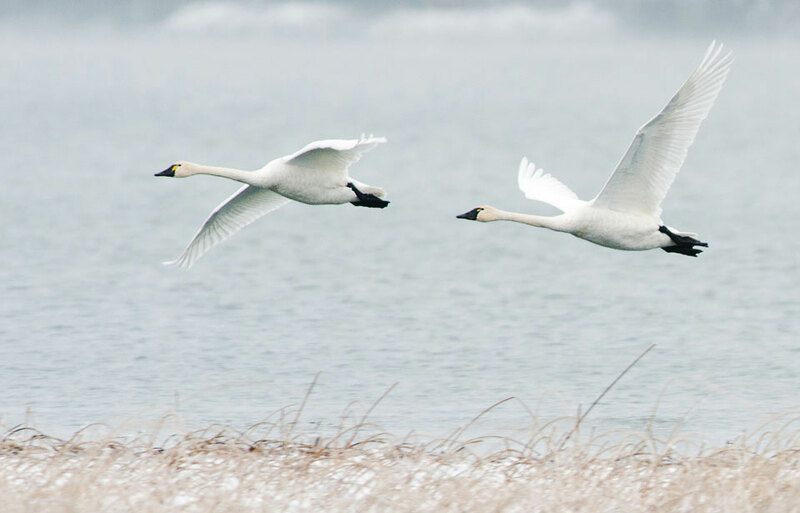 To date, there are just over a dozen recorded sightings of occupied nests from Canada, Japan, Russia, and the United States. Marbled Murrelets occur in Asia around the Sea of Okhotsk, in Alaska, and along the Pacific coast of North America, as far south as northern California. 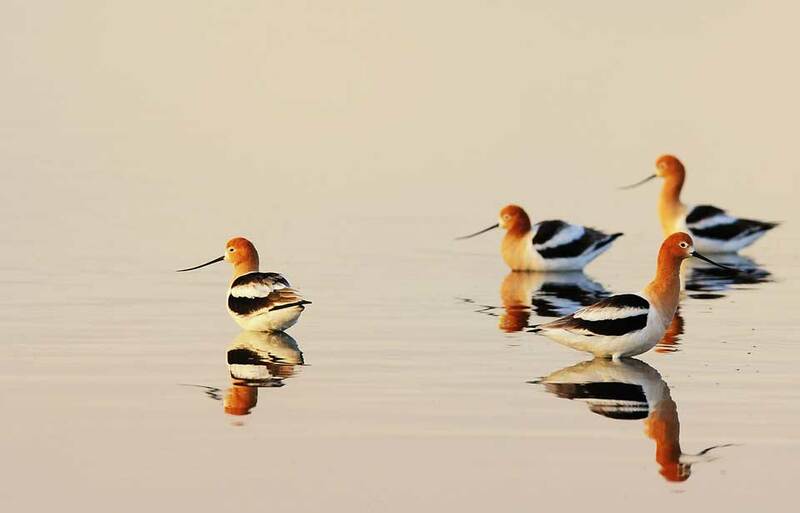 In North America, the normal range of the birds is within 70 km of salt water, west of the coastal mountains. Biologists have roughly estimated the British Columbia population at 40 000 to 50 000. 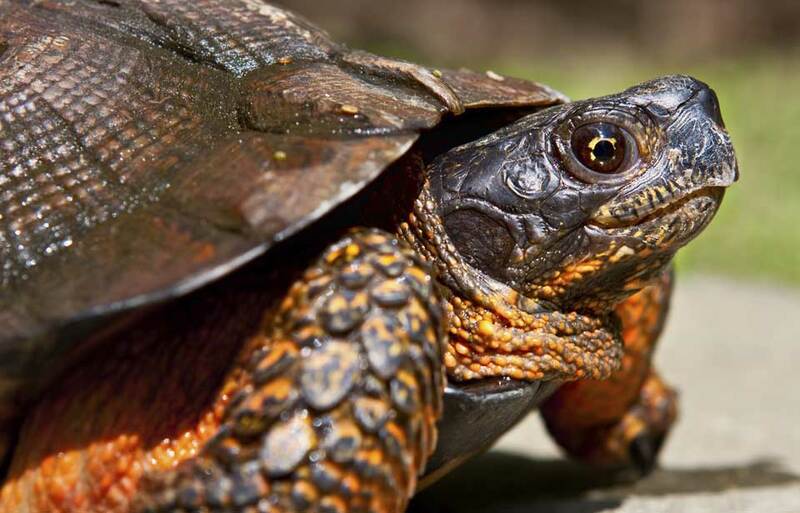 To determine how much nesting habitat the species needs, scientists must learn more about its nesting habits. No one is sure exactly where most Marbled Murrelets nest; however, thousands of birds spend the summer on the coast, many adults have been seen carrying food inland at this time, and 14 nestlings have been found in forests and on land far from the sea. 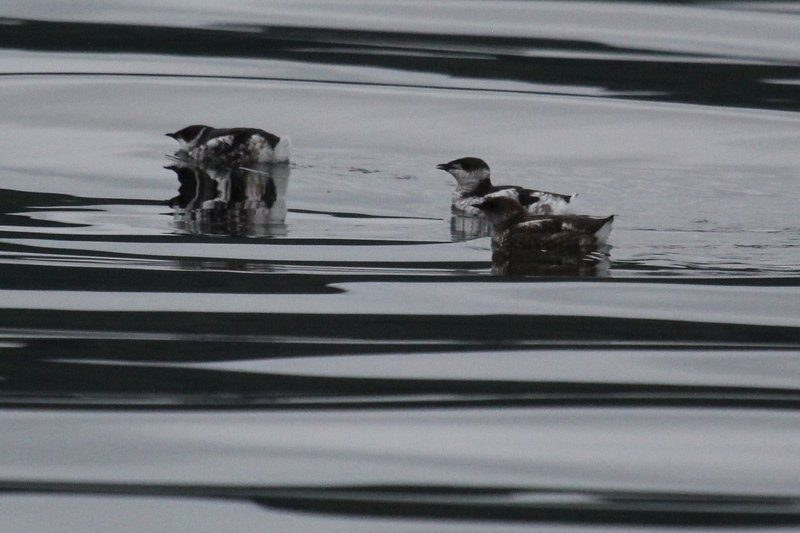 There is no indication that Marbled Murrelets nest in colonies, but this possibility cannot yet be ruled out. 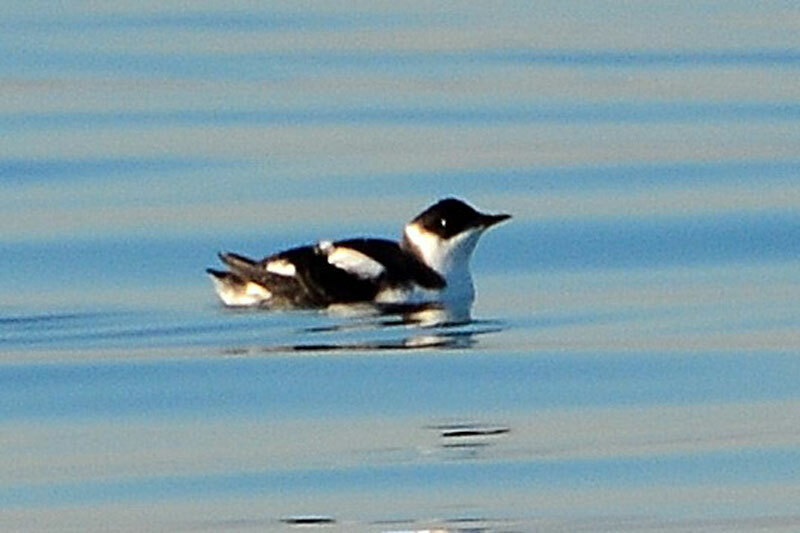 Many Marbled Murrelets join large flocks of Ancient Murrelets in the straits of Georgia and Juan de Fuca for the winter. The flow of nutrients out of the Fraser River estuary makes the straits a very rich habitat for many organisms. The wintering grounds for the bulk of the population remain a mystery. 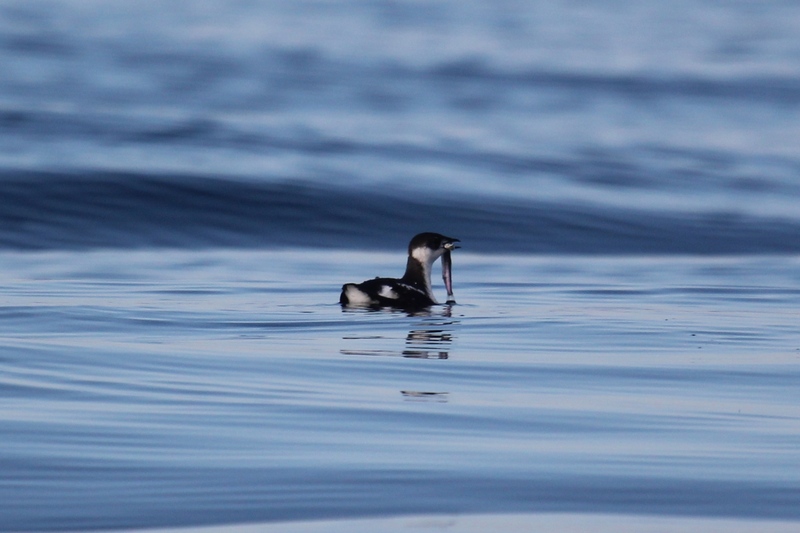 Catching fish takes up most of the murrelets’ time. Most often the birds dive well below the surface and swallow fish underwater. Sometimes a murrelet will drive a dense school of fish to the surface and keep it there as long as possible with shallow dives. 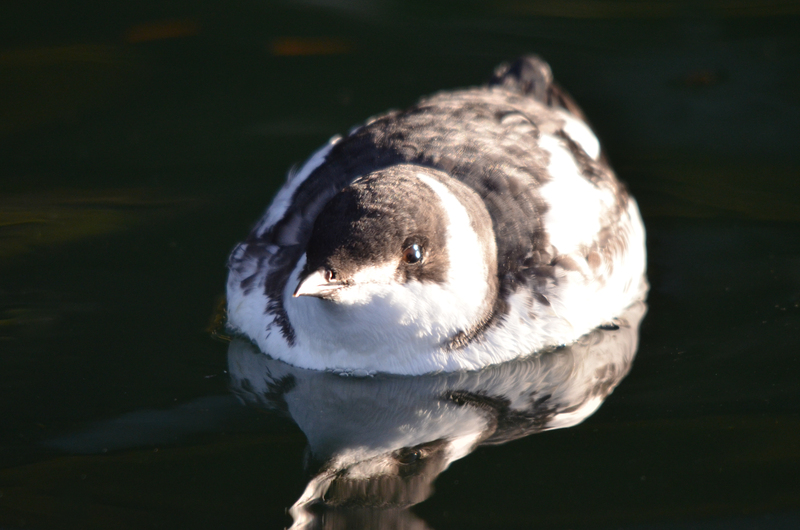 During the shallow dives, the murrelet will pick off and eat individuals one at a time. The swarms of small fish boiling at the surface will attract other murrelets and gulls eager for easy pickings. The murrelets adapt their dives to the fish available. 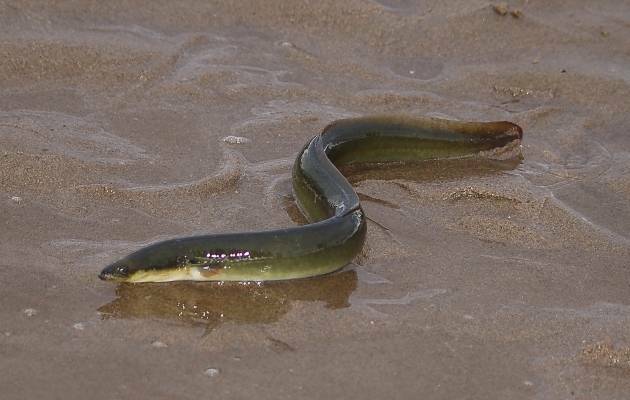 In the south, sand lance are attacked in small channels and inlets where they are concentrated by tidal currents. 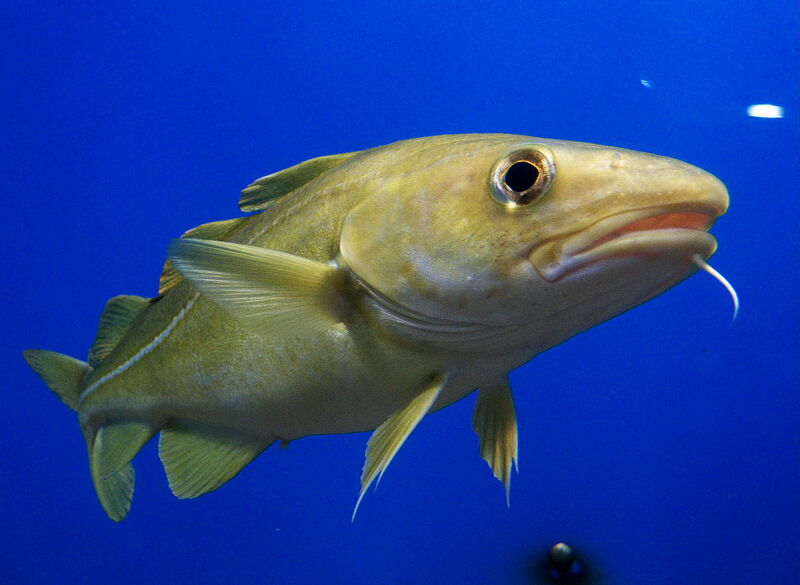 In the north, herring seem to be caught most easily against steep cliffs in the deep inlets. 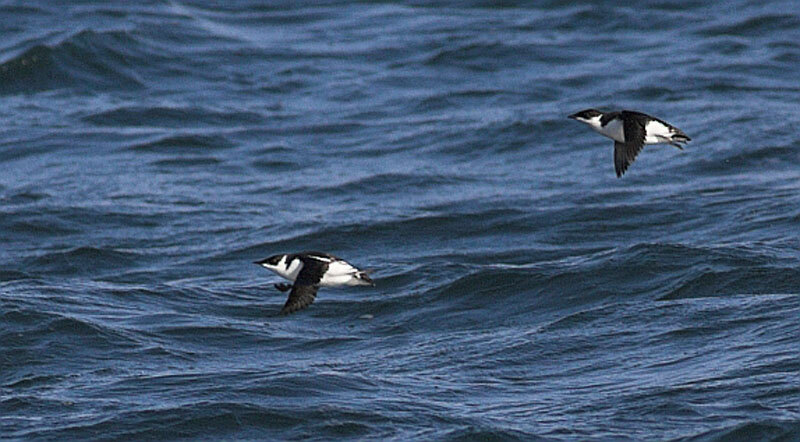 The murrelets also feed on northern anchovy. In May and June, small fish are so widespread that murrelets can fish almost anywhere and spend much of the day preening and dozing. 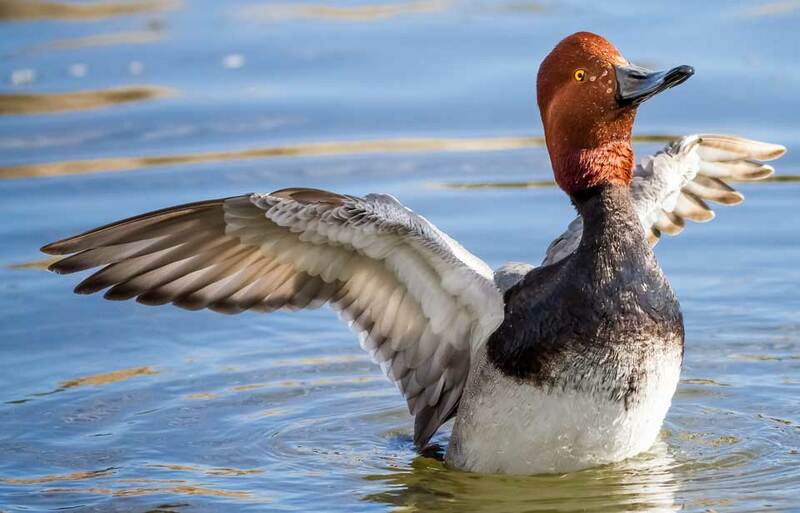 Later, as waters warm up in the summer, fish become more scarce, and the murrelets concentrate their efforts at the richest areas, such as tidal rapids. If fish are unusually plentiful, more than 100 murrelets may gather in a flock. No one has measured the depth to which Marbled Murrelets can dive, but similar-sized relatives, such as the Cassin’s Auklet, reach 43 m and more. 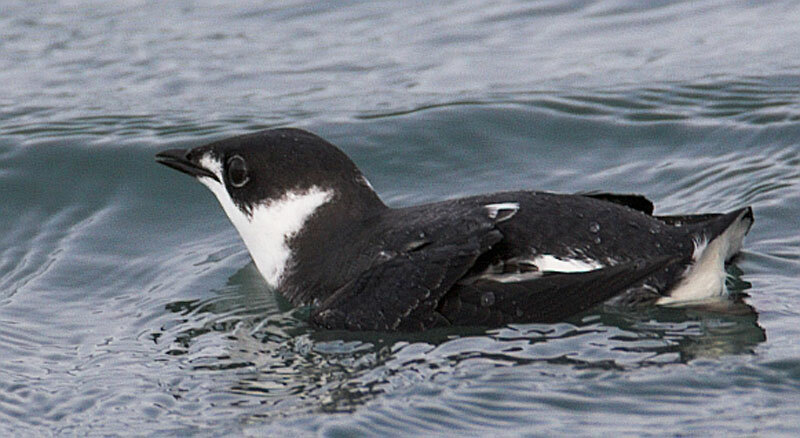 The murrelet uses mostly short dives, which last less than 30 seconds. 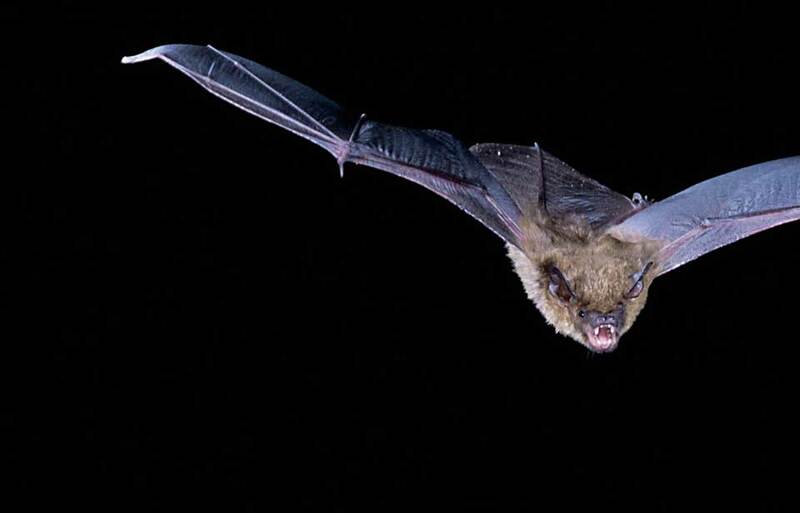 Often, after a series of dives, it will flap its wings vigorously. This fluffs the plumage and restores the insulating effect of the feathers. 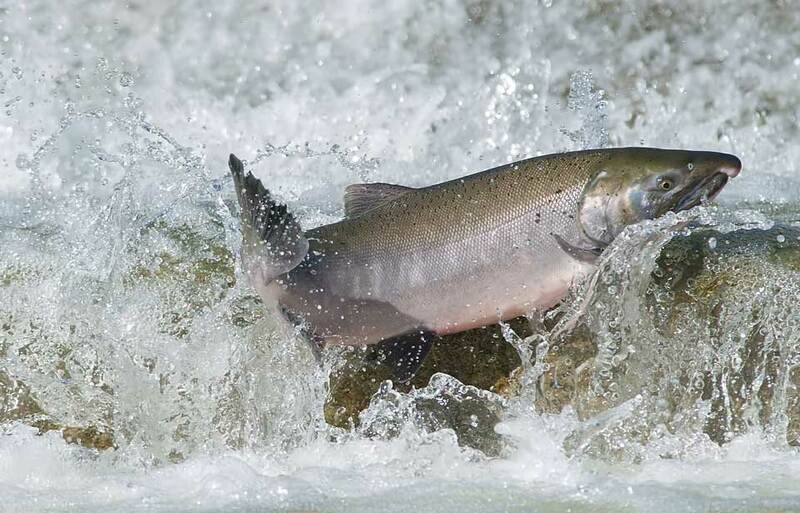 A brief splashing bath usually marks a successful fishing effort. 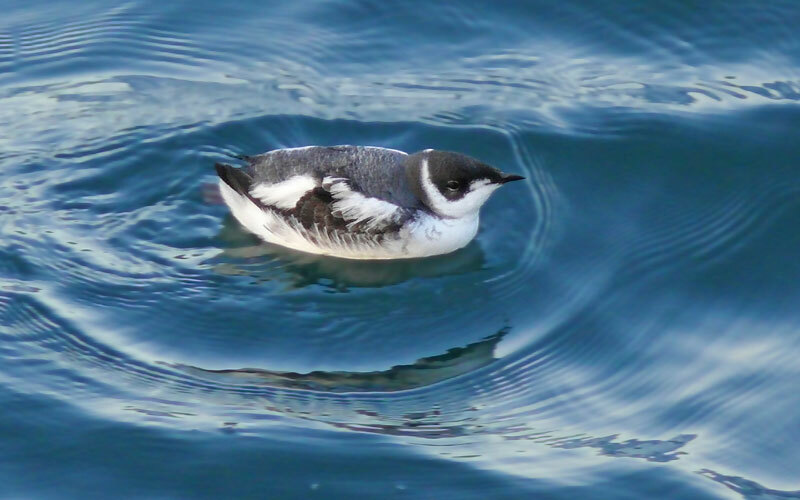 The annual cycle for Marbled Murrelets begins in April, when the winter storms start to abate. 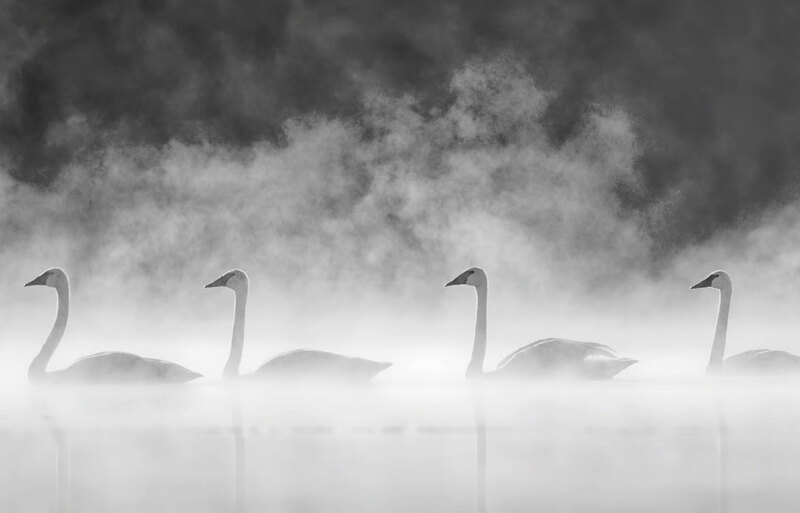 There is no distinct migration wave. The population slowly spreads northwards from wintering areas and moves, at the same time as the favourite prey, juvenile Pacific herring and Pacific sand lance, into the coastal inlets and bays. The long inlets that cut into the British Columbia coast also bring the birds closer to the forests in which most seem to nest. 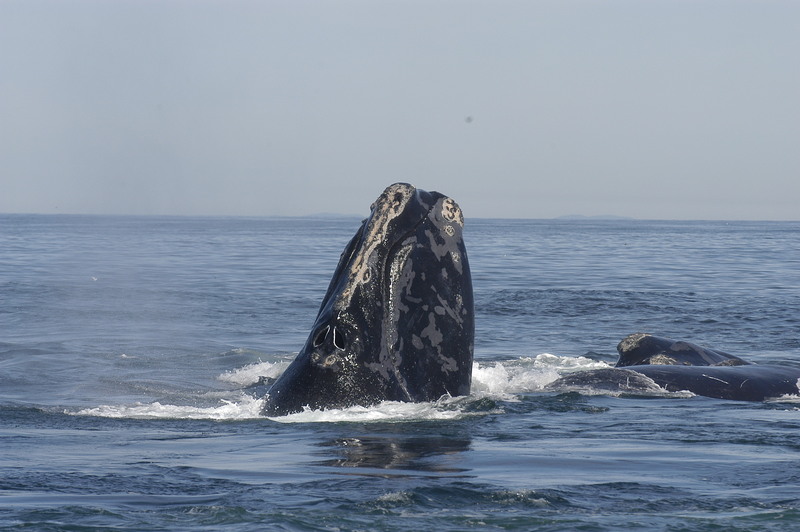 Nesting begins in May when the female lays a single large egg. For about one month, each adult takes daylong turns at incubation. The adults use off-duty days to fatten up on fish and get ready for the next shift on the nest. The first eggs hatch in June, and the life of the parent birds becomes hectic. Every night for about a month, each parent carries a meal to the nest, which may be as far as 70 km from the sea. 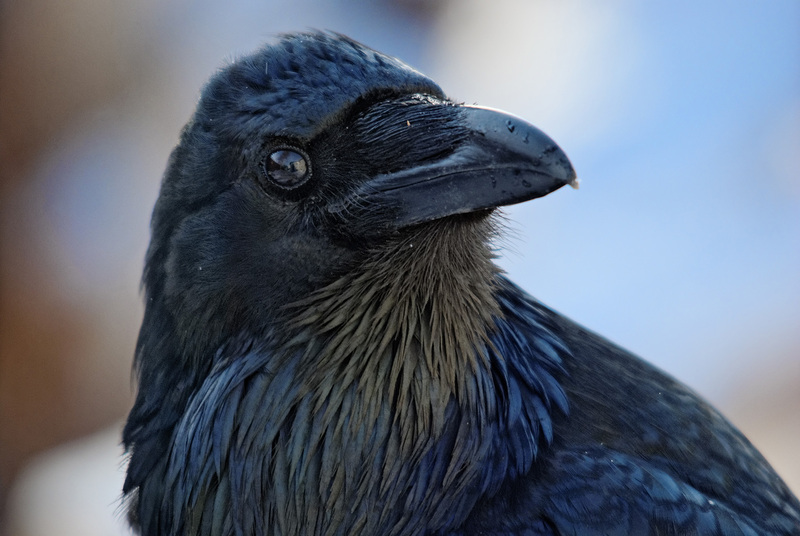 The timing of the flights, after dark, helps the parent birds to avoid predators, such as Peregrine Falcons, and to avoid leading nest-raiders, such as ravens, crows, and jays, to the nest. 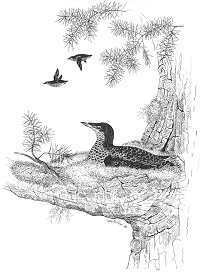 The meals usually consist of a single fish about 15 cm long that the murrelet can carry crosswise in its bill. Slightly larger fish are carried with the head down the bird’s throat and the tail protruding from its mouth. 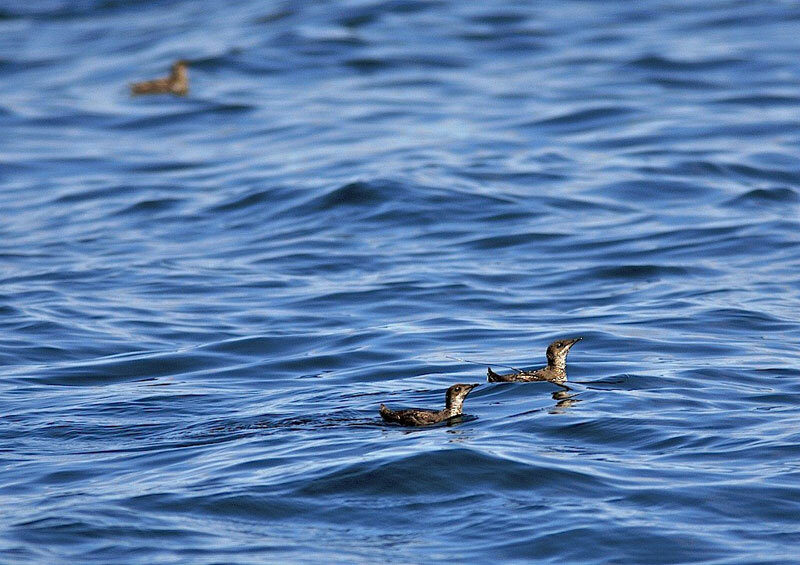 Young murrelets begin to appear in coastal waters at the end of June but are not numerous until late July. 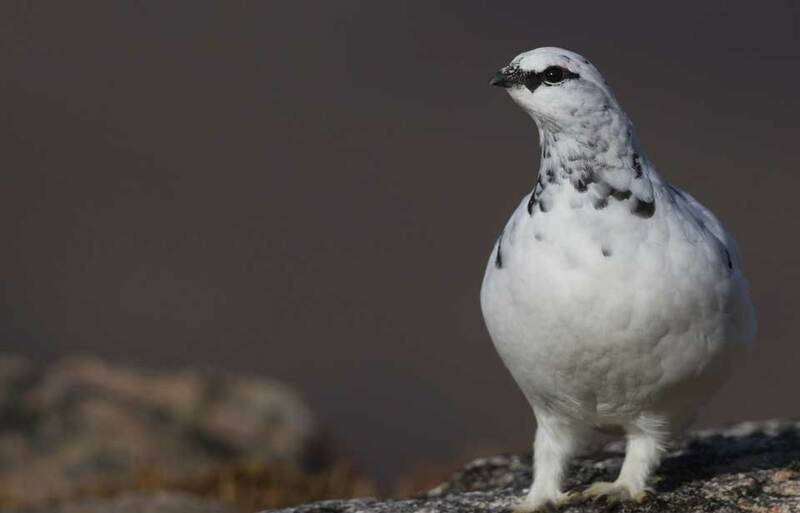 They are quite distinctive in the black-and-white plumage that the adults will also adopt for the winter months. 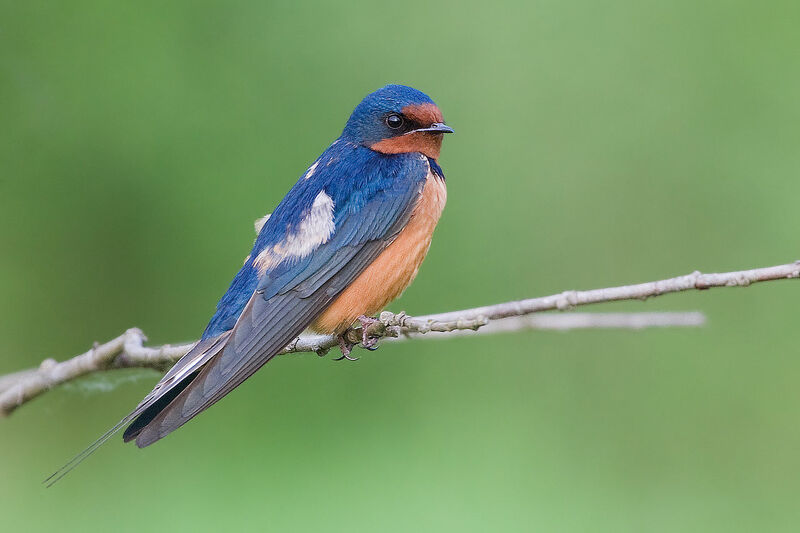 They are completely independent of their parents as soon as they fly from the nest, but often join other adult birds in good feeding areas. Adult murrelets are believed to live as long as 25 years because there are few natural threats in their environment. 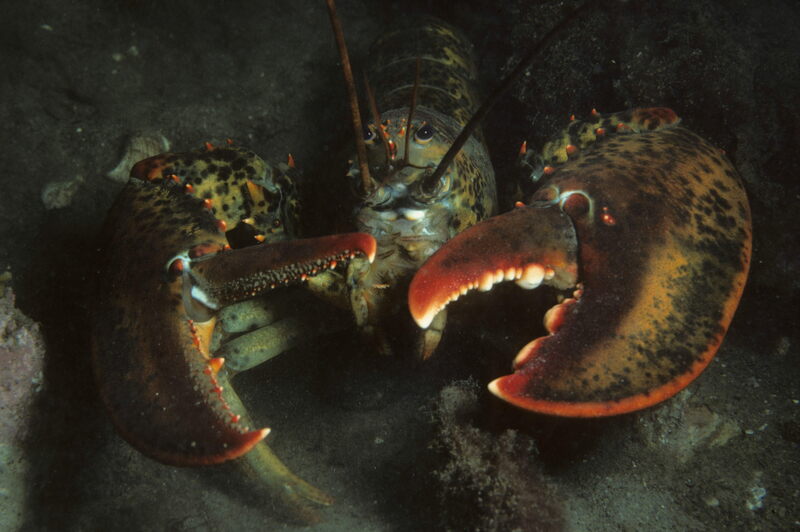 They are occasionally attacked by Bald Eagles and Peregrine Falcons and perhaps by seals and sea lions, but they are not a regular part of any predator’s diet. 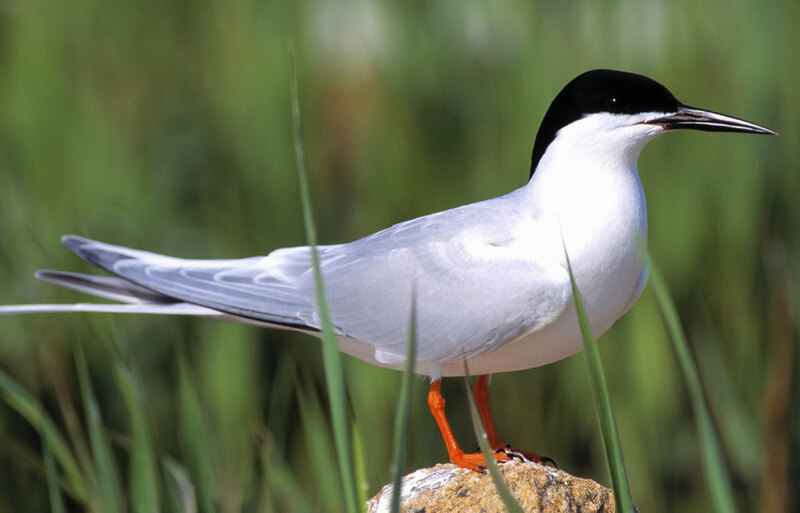 Human activities can have a serious effect on the population of this secretive seabird. 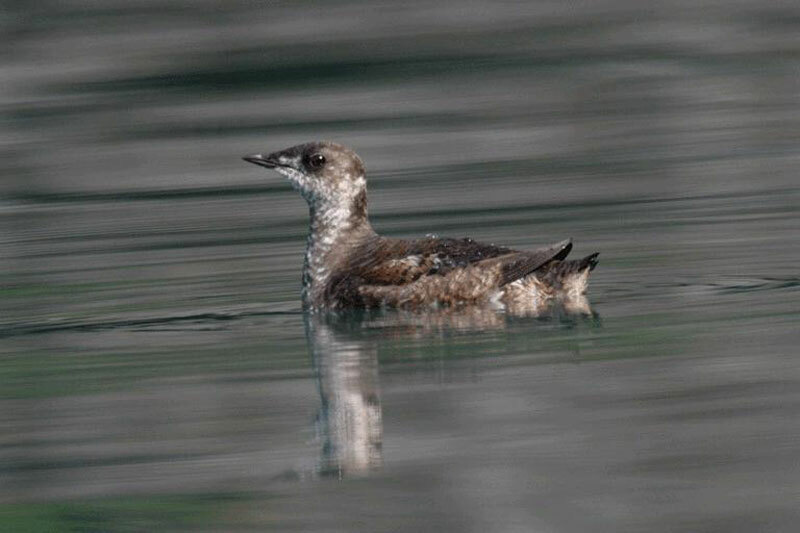 In 1990, the Marbled Murrelet was added to the list of "threatened" species prepared by the Committee on the Status of Endangered Wildlife in Canada (COSEWIC). 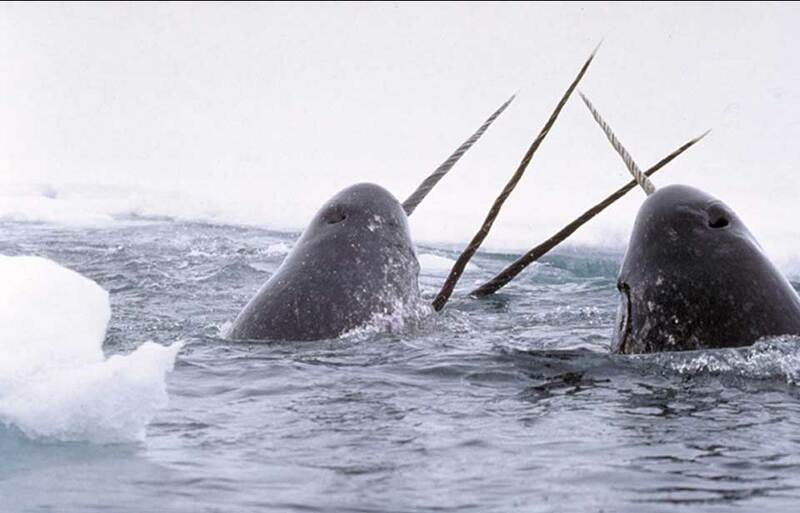 (A “threatened” species is one that is likely to become endangered if limiting factors are not reversed.) It is likely that Marbled Murrelet populations need extensive old growth forest for nesting, and most of this forest is slated for logging. 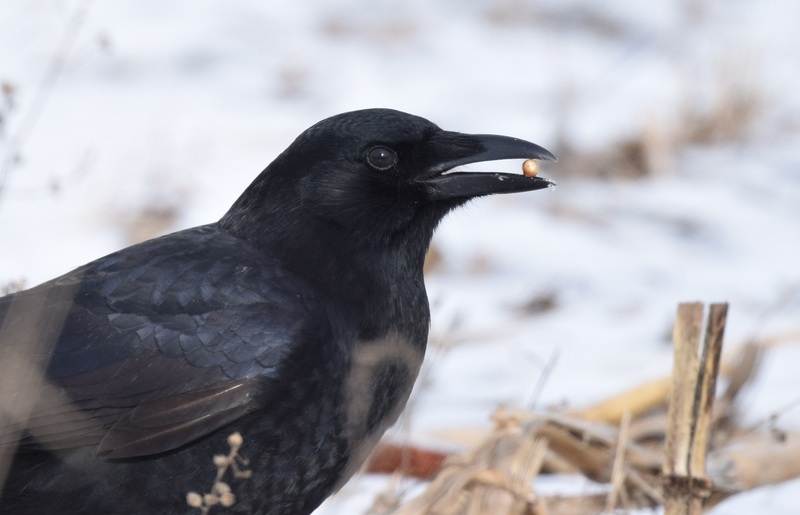 Even small oil spills can wipe out significant portions of the Canadian population, because that population is small and often concentrated, especially in winter when the birds congregate to take advantage of scarce food supplies. 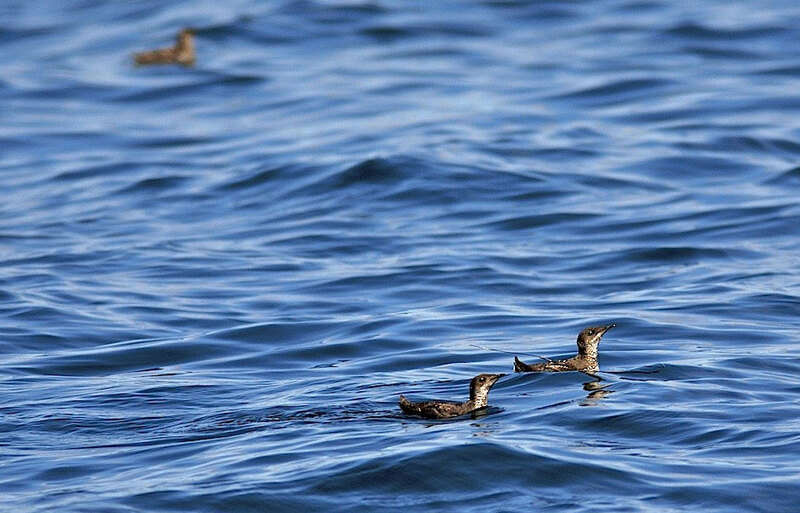 Fortunately, many of the important summering areas for murrelets are in small inlets, well away from tanker routes. Recently, concern has been raised about the number of murrelets drowned in gill nets. 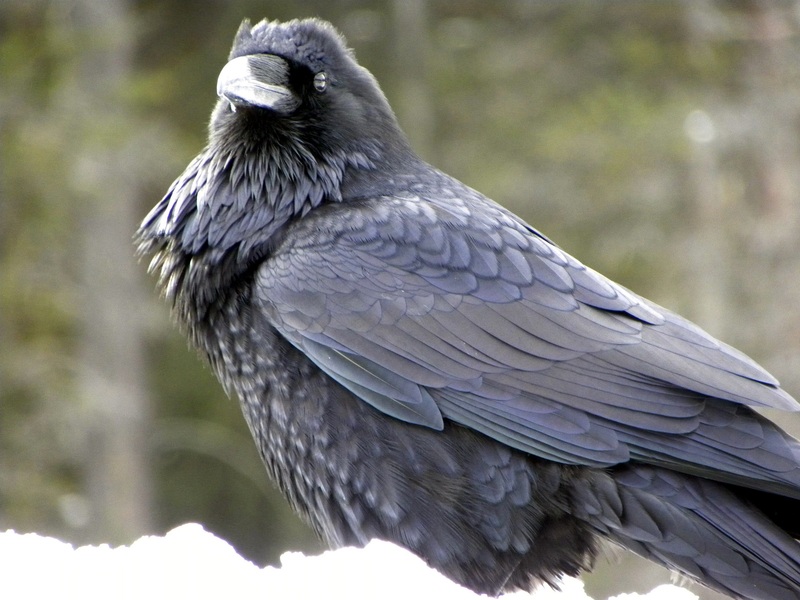 In Barkley Sound, on the west coast of Vancouver Island, 200 birds were killed in one season. This is more than the number of young murrelets produced in that area. Fortunately, gill netting is the only form of fishing that interferes with the murrelets, and it is not used extensively in the important breeding areas at the heads of inlets. In Barkley Sound, the problem area is fairly small and it may be possible to develop regulations to protect the murrelets using it. 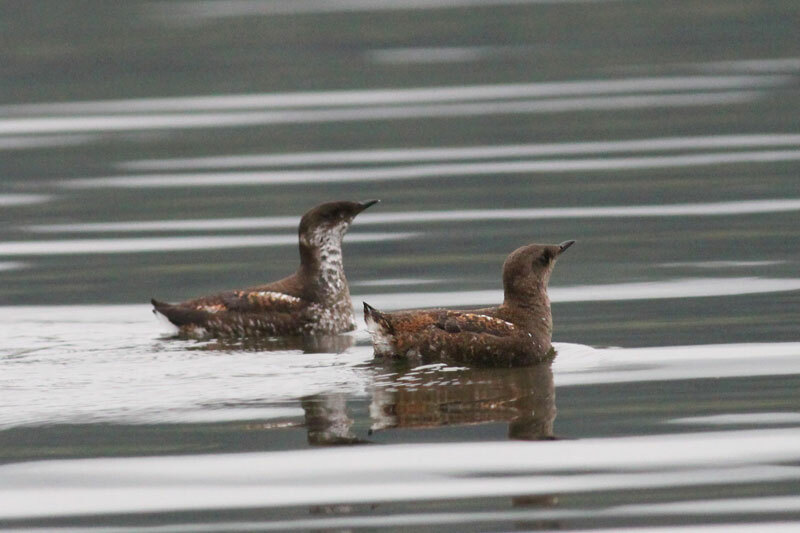 The overall importance of losses to fish nets still needs to be examined in important murrelet concentration areas near Bella Bella and off the southern Queen Charlotte Islands. 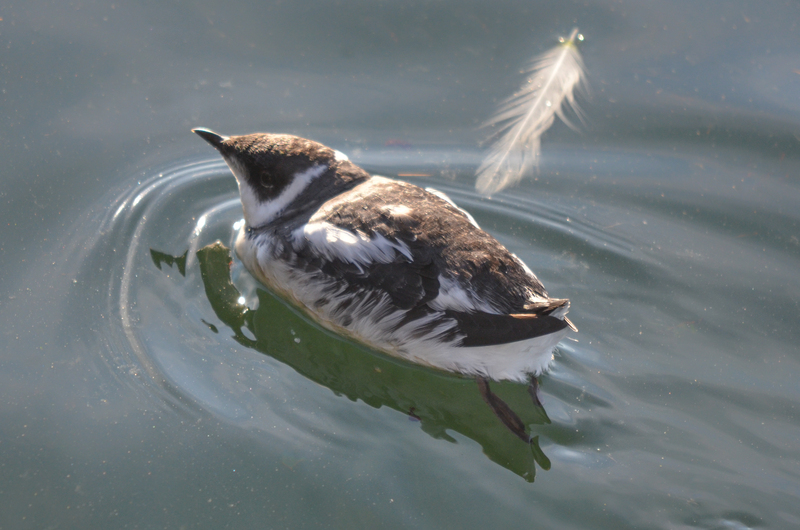 Conservation of the Marbled Murrelet must begin with protection of its nesting habitat. Recently, observers have been trying to identify areas used by nesting murrelets by listening for calls in the coastal rainforests. 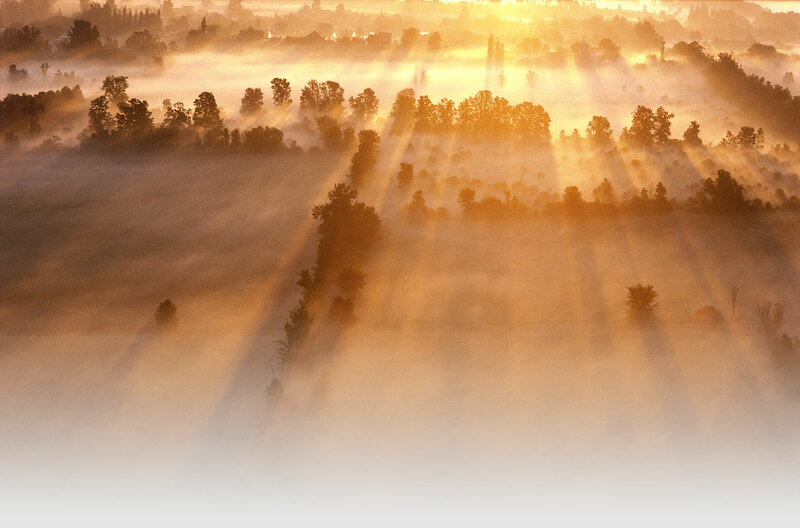 They have located several sites where there is a lot of activity for an hour on each side of sunrise. Some of the murrelets circle high up; some have been seen landing in and leaving some large trees. This is how the only confirmed nest in British Columbia was found in 1990 on the west side of Vancouver Island. Biologists are also planning to attach tiny radio transmitters to the birds to pinpoint nest sites. The transmitters weigh less than a dime and will be attached to birds captured on the water at the beginning of the breeding season. 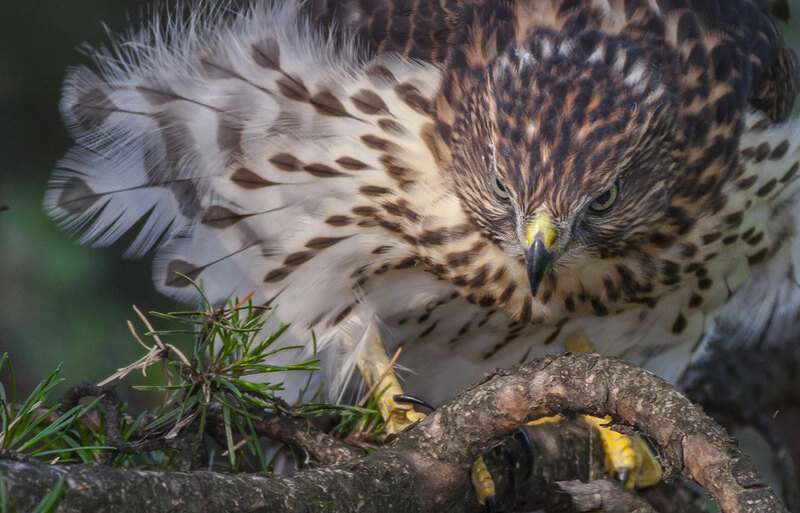 They will allow scientists to trace the birds’ movements for about six weeks. Because the transmitters will be attached to the birds’ feathers, they will fall off when the murrelets moult at the end of the breeding season. Every new season brings important discoveries about Marbled Murrelets, and our understanding of the species is increasing rapidly. 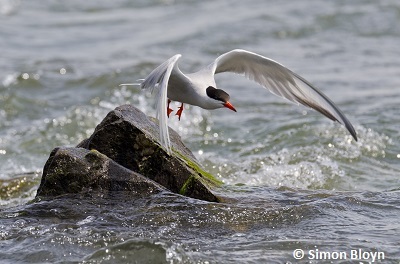 Most of the effort must be put into the search for nest sites so that breeding habitat can be protected; however, biologists also need to look carefully at oil spills, gillnetting, and the expansion of marinas and fish farms. If the Marbled Murrelet gives up enough of its secrets, conservation questions will have easier answers. Campbell, R.W., N.K. Dawe, I. McTaggart-Cowan, J.M. Cooper, G.W. Kaiser, and M.C.E. McNall. 1990. The birds of British Columbia. Volume II. Royal British Columbia Museum, Victoria, B.C. Ehrlich, P.R., D.S. Dobkin, and D. Wheye. 1988. 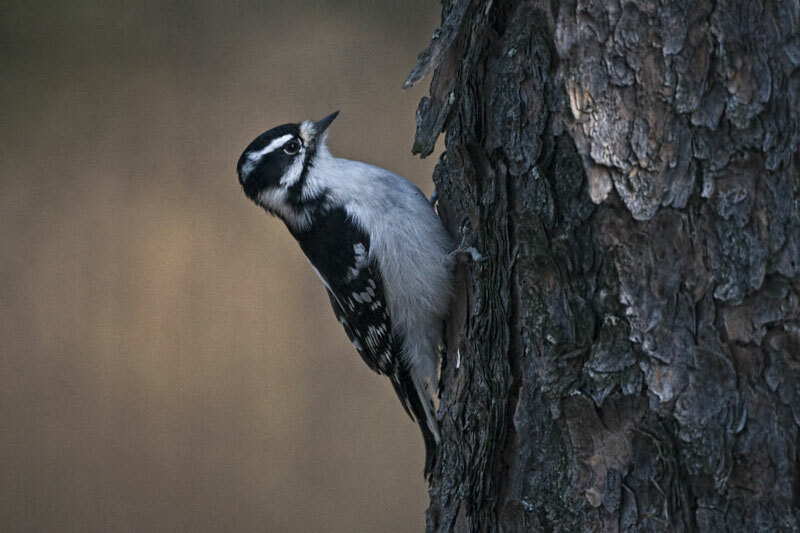 The birder’s handbook—a field guide to the natural history of North American birds. Simon and Schuster, New York. Flint, V.E., R.L. Boehme, Y.V. Kostin, and A.A. Kuznetson. 1984. A field guide to birds of the U.S.S.R. Princeton University Press, Lawrenceville, New Jersey. Haley, D.C. 1984. 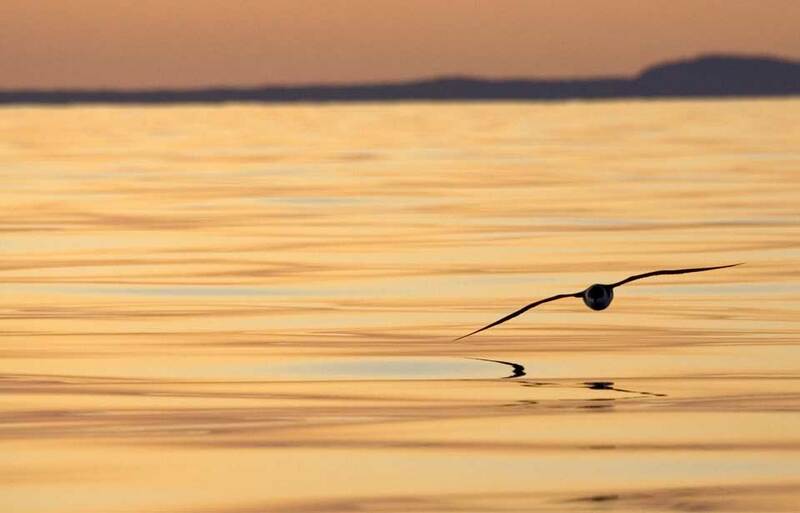 Seabirds of the eastern North Pacific and Arctic waters. Pacific Search Press, Seattle, Washington.